France Leclerc, born in Québec, Canada, is an independent photographer who currently lives in Chicago. Her early career was in academia, but in 2005 she decided to make a change to pursue her true passion for documentary photography. But the curiosity and hunger for learning that had motivated her academic research career did not vanish. France now uses photography as a vehicle to understand and help depict issues that puzzle her, and satisfy her passion for learning. Among her most prominent themes are culture, religion and poverty. Her images have now been shown in curated exhibitions and have won numerous awards, including an APA award in the photojournalism category and a PDN WorldinFocus award. 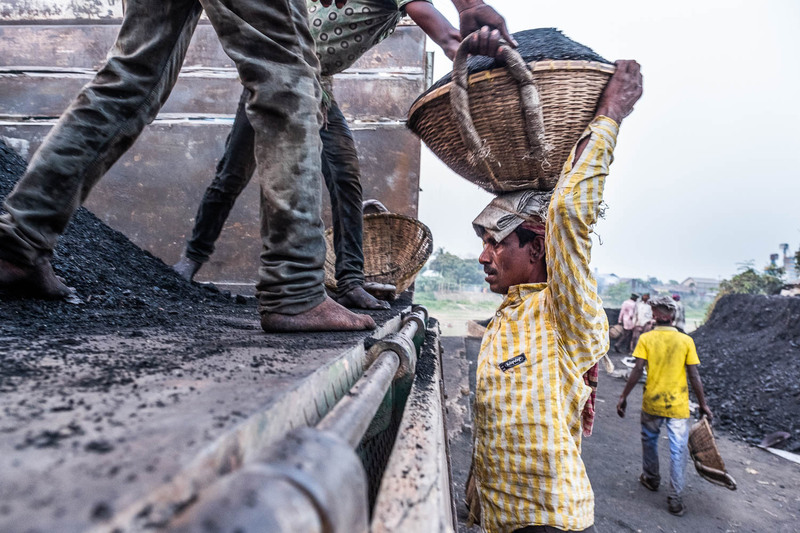 Workers come from rural parts of Bangladesh to carry out exhausting work in the most unsafe conditions. 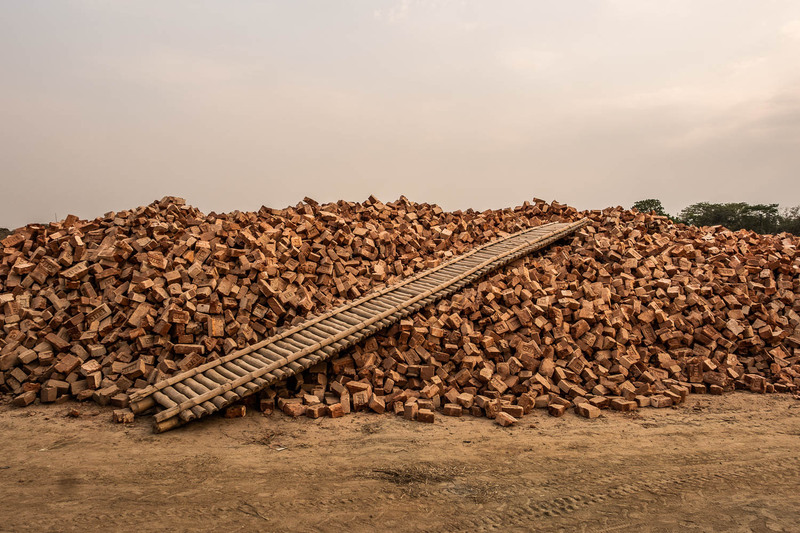 With its 163 million-strong population, Bangladesh is in the midst of a construction boom and with that expansion comes a need for cheap construction materials. 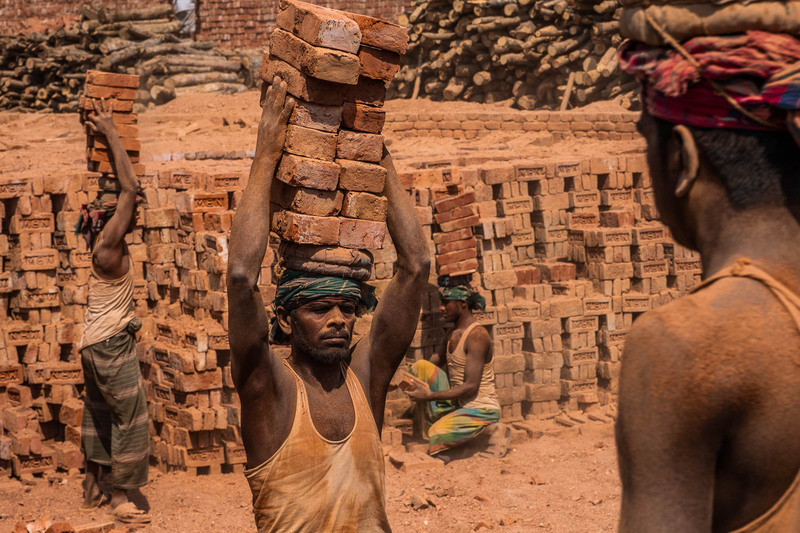 Such high demand has lead brickmaking to thrive. 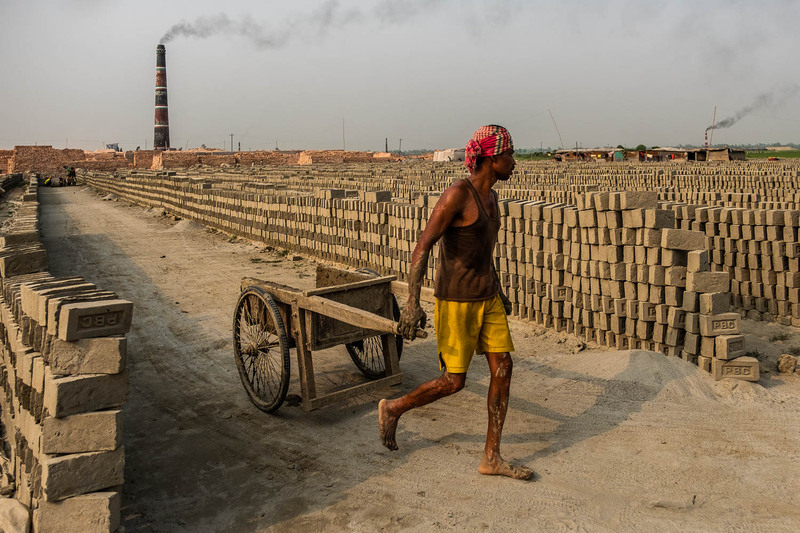 However, despite attempt at regulations, the brick-making industry is still a major source of pollution and its workers are subjected to incredibly perilous conditions. 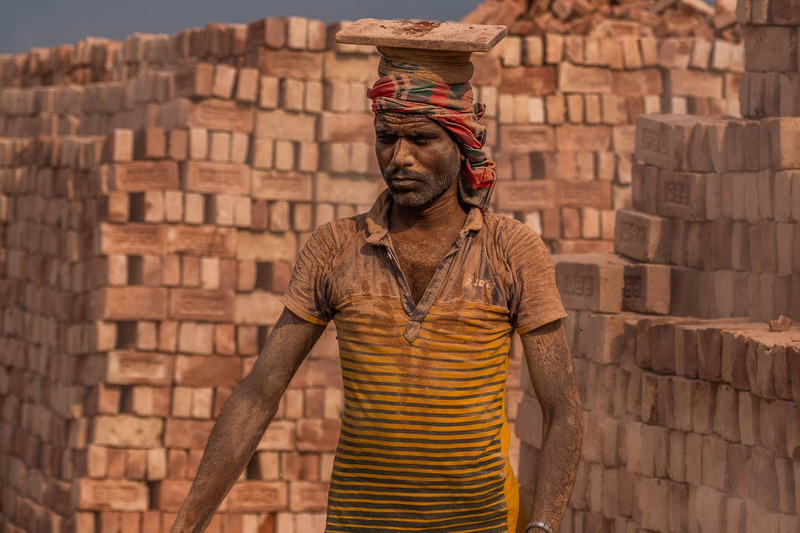 Almost all bricks are made literally by hand using a 150-year-old technology; it is a human factory. 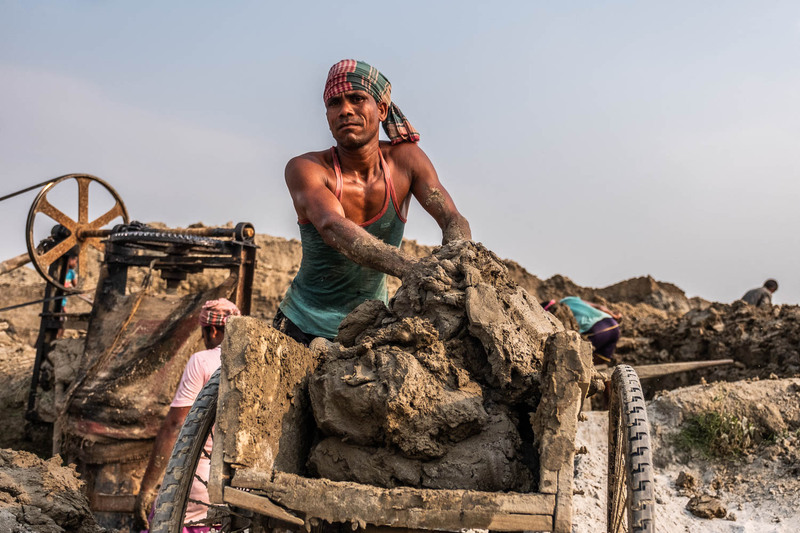 Workers of all ages come from rural parts of Bangladesh during the dry season carrying out back-breaking and exhausting work while exposed to irritating red dust for long hours without any kind of protection. All bricks are made literally by hand using a 150-year old technology. 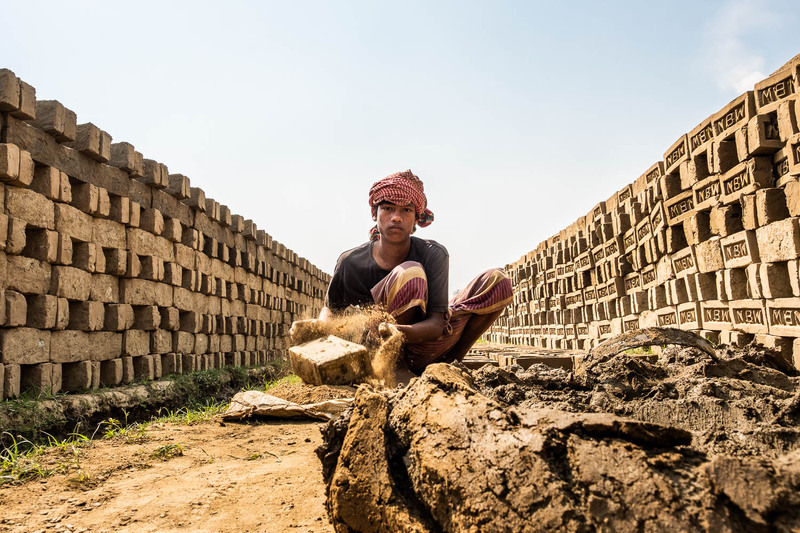 Soil is formed into bricks using wooden molds then left to dry in the sun before being baked in kilns. The work is back-breaking, the loads carried on the head are substantial, often over 4kg. Workers are exposed to an irritating red dust hours on end. The working sites are incredibly dusty and workers have no protective gear. Workers of all ages come from rural areas and often stay extended periods of time. Workers hack mud from the earth, and mix it with water to keep it workable. 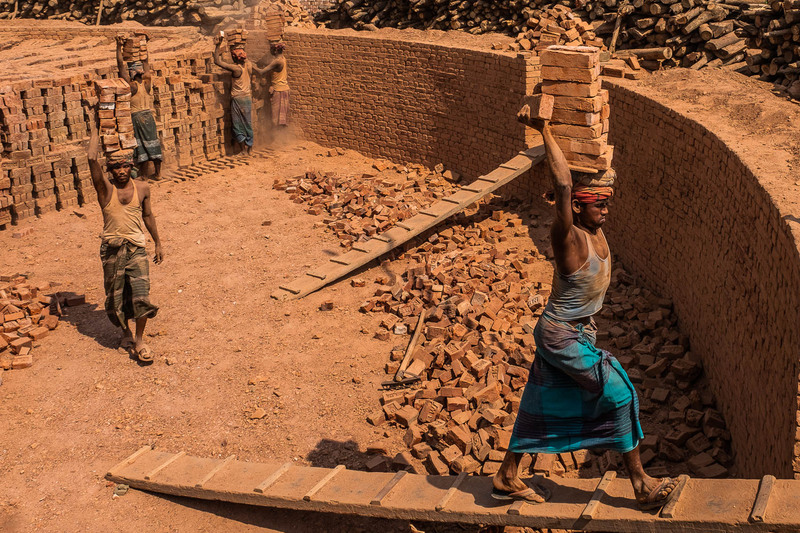 Workers carry the raw mud to the brick-making area. Chimneys spew smoke from burning coals to bake the bricks. 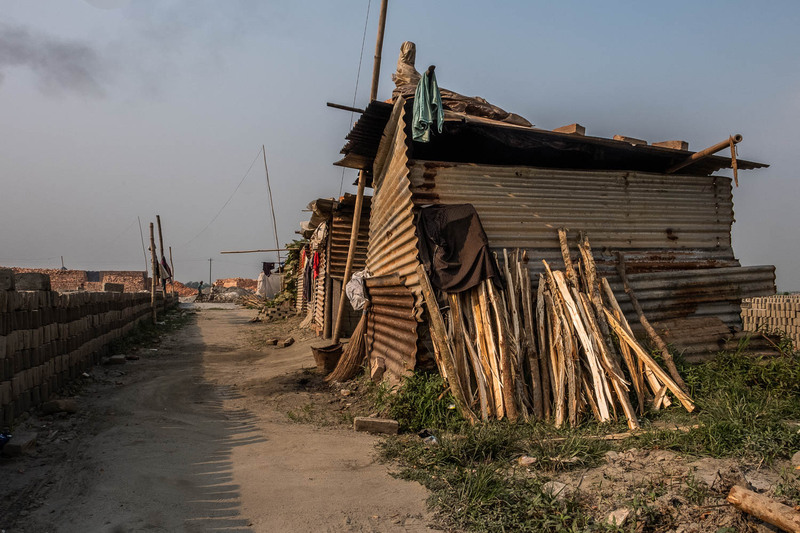 Workers make their homes on the site, often with their families. 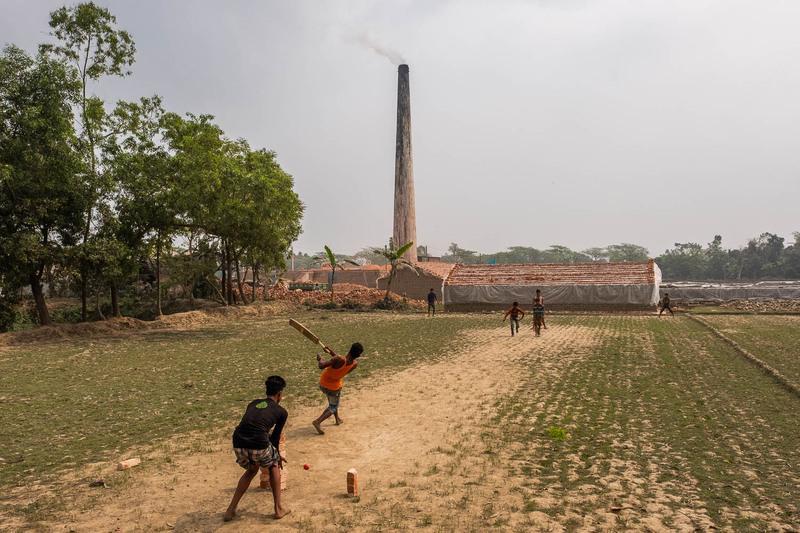 About half of Bangladesh's bricks are baked with the use of coal, making the brick factories the single largest source of greenhouse emission in the country. Legally, no brick field can be put up within 5km of residential areas. 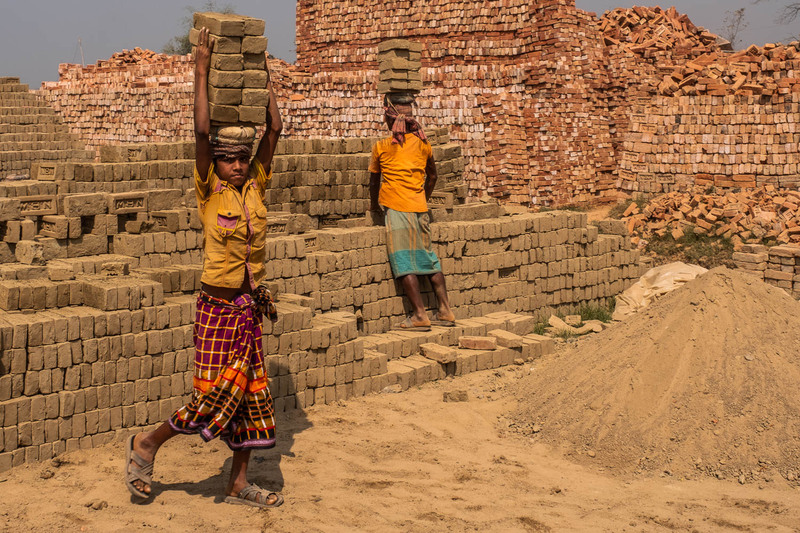 Yet everywhere across the country, bricks are produced close to villages and cities. 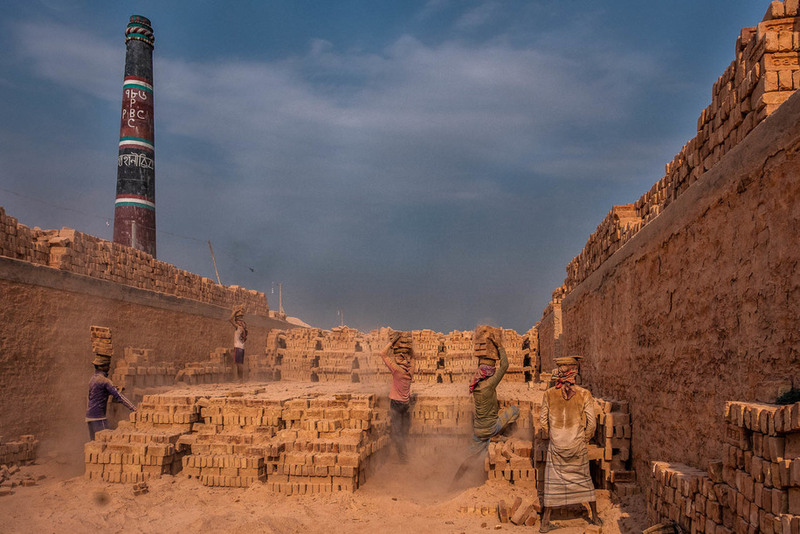 The many bricks damaged in the process will be crushed and used as sand.